In 1963 the Fellows and students of Fitzwilliam moved into new buildings designed by Denys Lasdun, a champion of the International Modernist movement in architecture. 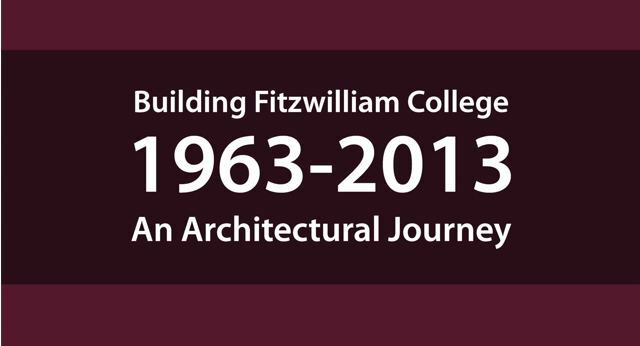 In 2013 Fitzwilliam celebrated with an exhibition of photographs, plans and models showing the ways in which Lasdun’s original vision has been interpreted and transformed by successive architects and imaginative landscaping. The exhibition included a short film featuring interviews with architects Bob Allies, Ted Cullinan, Joanna van Heyningen, Sir Richard MacCormac and Johnny Winter, as well as former Bursar Christopher Pratt and Lasdun specialist Dr Barnabas Calder. 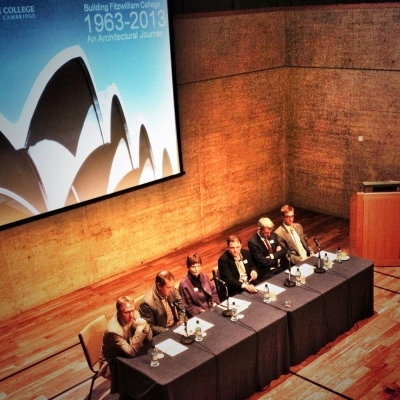 A symposium was held on 25 June to coincide with the RIBA 'Love Architecture' week and attracted a large audience. Dr Barnabas Calder gave the introductory lecture, 'Courts and community: Denys Lasdun’s Fitzwilliam House'. Sir Denys Lasdun (1914 -2001) studied at the Architectural Association and worked with Wells Coates before joining Tecton, the practice of Berthold Lubetkin, in 1937. Denys Lasdun & Partners was established in 1959. Fitzwilliam was the first higher education project undertaken, to be followed by the University of East Anglia and New Court at Christ’s College, Cambridge. Probably his best-known work is the National Theatre (1961-76). He was awarded the Royal Gold Medal in 1977 'in recognition of meritorious Modern buildings and their architects at a time when public appreciation of contemporary architecture is at a low ebb'. Fitzwilliam's architects: Six architectural practices have been involved in building Fitzwilliam over the last 50 years – Denys Lasdun and Partners; David Roberts; MacCormac Jamieson Prichard (now MJP Architects); van Heyningen and Haward; Allies and Morrison, and Edward Cullinan Architects (now Cullinan Studio).